Flexible Specialty Products can fabricate flexible transitional connectors from rectangular to round, round to round, and rectangular to rectangular. We can design concentric as well as eccentric connectors to accommodate cold-offset or misaligned piping as well as match up two different sized pipes. The transitional connectors can be sleeves, U-Joint Formed Flange, Sleeves, or Flat Joint Frame Style connectors. 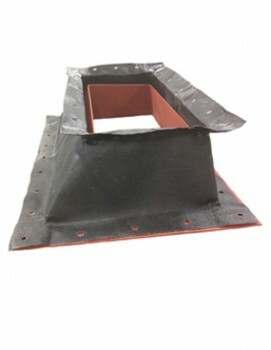 The use of a transitional connector can eliminate the need for a metal transition piece in the ductwork to save space and money. All of our products are custom-designed to your specifications. Call Flexible Specialty Products today to discuss your specific application.